NEWS: Ads on IGTV could be the next big thing for Brands & Marketers! In this exciting phase of digital disruption, here is a possibility of a development that could escalate things to the next level. 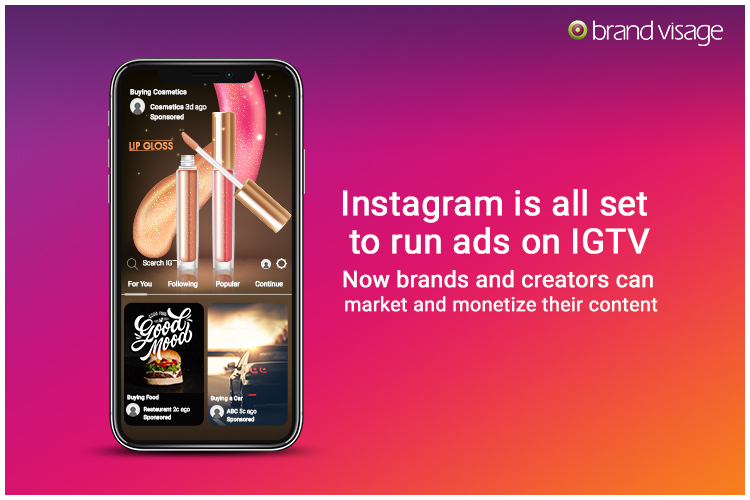 Instagram is likely to run ads on its vertical video platform and monetize the content by creators on IGTV, hence opening up new advertising opportunities. The platform would most likely follow a model similar to Facebook while important particulars like revenue share, the frequency of ads, timing and more are not subjected to any speculation as of now. Currently, Facebook offers 55% of the ad revenue to creators. We can expect something on similar lines from Instagram, based on the model they roll out (pay by impression or pay for view). It goes without saying that top social media agencies are waiting eagerly for this new development to materialize. Brands and marketers, too, are relying heavily on top social media marketing agencies in Delhi to use this feature to the full benefit of advertising.